Democratic challenger Roy Cooper leads McCrory by nearly 5,000 votes, not including absentee or provisional ballots. Jeff Tiberii reports on North Carolina's gubernatorial race and the lingering possibility of a recount to determine the winner. The protracted gubernatorial race continues across North Carolina. Counties face a deadline to certify local results by the end of the day. Some will do just that, but many others will need an extension into next week to finalize vote counts. And in Durham, an evidentiary hearing takes place to determine if paper ballots should be recounted, following a computer glitch. Earlier this week, protesters chanted outside of the Durham County Board of Elections. As incumbent Republican Governor Pat McCrory faces a relatively small, but potentially insurmountable, deficit – there have been allegations of fraud and malfeasance, including in Durham. Democratic challenger Roy Cooper leads McCrory by nearly 5,000 votes, not including absentee or provisional ballots. For now, there is plenty of smoke and comparatively little fire. "It’s a shameful thing that when you lost an election the only thing you can say is that something wasn’t done correctly,” said Morgan Jackson, a Cooper strategist. “It’s absurd these allegations they’re throwing out about voters and they’re just making them up out of thin air." But while one side says uncertainty looms, the other camp calls the results clear. "Voter fraud is like insider trading, if you’re not looking for it, you don’t find it," said Governor McCrory spokesman Ricky Diaz. Incumbent Governor Pat McCrory trails his challenger Roy Cooper by roughly 5,000 votes. Diaz points to Bladen County where a forensic examiner identified more than 160 absentee ballots that appear bogus - apparently part of an effort to help a candidate waging a write-in campaign. Republicans say this could be a sign of widespread issues. Democrats contend it’s an isolated incident and there is no concrete evidence of extensive cheating. McCrory’s campaign maintains that between any possible fraud, and the tens of thousands of provisional ballots still to be determined, nothing is decided. "There are thousands and thousands of ballots out there that have yet to be counted and discovered – and again it’s a spit in the face of voters who waited in line to cast their votes, for Roy Cooper to seek to proclaim that an outcome to an election [that] hasn't already been decided," Diaz said. He added the campaign is filing complaints in 50 of the state’s 100 counties, where he alleges they have uncovered instances of dead people voting, people casting ballots twice, and felons voting. "I think it is to be expected and dangerous," said Chris Cooper, who teaches political science at Western Carolina University. "I’m unconvinced that there is widespread voter fraud anywhere in America," said Cooper, who has no relation to the gubernatorial candidate. “And I am convinced that states do as good a job as they can with the resources they have to count votes." He added that this is a late-game effort by McCrory. "I think it’s a Hail Mary. And sometimes Hail Marys are received and win the ball game. But make no mistake this is a Hail Mary," Cooper said. Meanwhile, nearly 60,000 provisional ballots are being considered and thrown out or counted by local election boards. These ballots are cast when there are questions about voter eligibility. Political scientists say about half of all provisional ballots are thrown out and those counted tend to lean Democratic or mirror the general election outcome. Using history as an indicator, this means McCrory could have a tough time making up the difference of a few thousand votes. Jeff Tiberii and Jay Price report on the still-inconclusive race for governor in North Carolina. 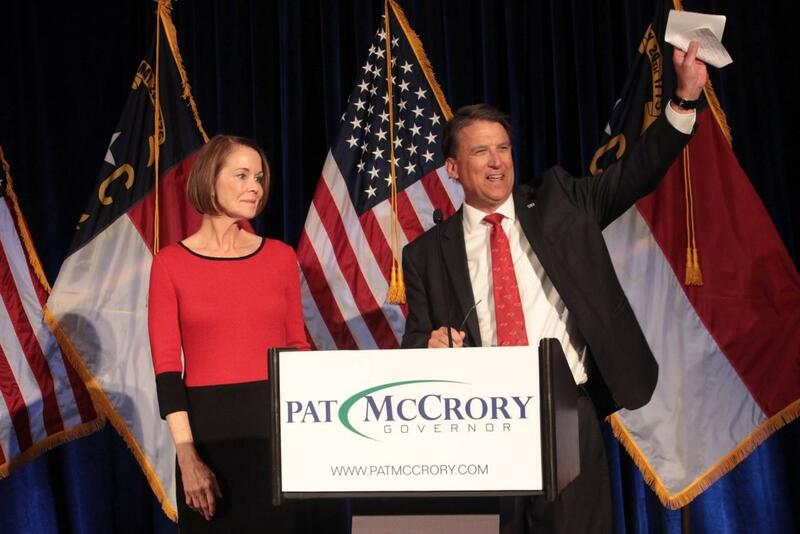 The governor’s race between Republican Pat McCrory and Democrat Roy Cooper is not over yet. After more than a year of campaigning, the two rivals are separated by fewer than 5,000 votes and this gubernatorial battle is very likely headed for a recount. With the election less than three weeks away, the national spotlight is on North Carolina as a key swing state in this election. The latest polls in the governor’s race show incumbent Governor Pat McCrory head-to-head with democratic challenger Attorney General Roy Cooper. While Roy Cooper finished election night with more votes, the race for governor is far from over. With all 2,704 North Carolina precincts reporting, Cooper held a 2,281,851 to 2,276,850 lead over Pat McCrory, a lead of just 5,001 votes or one-tenth of 1 percent.